This morning's red post collection includes a look at the upcoming 6.9 balance hotfix, a champion insights article on Taliyah, the debut of a new Shurima page including updated champion introductions and stories for Azir and Xerath, a reminder that One for All returns in the RGM queue this weekend, and more! RGM Queue: One for All on Friday! We've got a balance hotfix that, all going according to plan, should be going out sometime late this week or early next week. It contains small to moderate buffs to Swain, Vlad and Cass and a small to moderate nerf to Malz. Our expectation is that we'll do additional work on each of those champions in the next patch too (these changes won't address all their issues). This hotfix isn't intended to be a massive change, more to take the edge off major balance outliers while we assess the reworked kit's learning curves, the state of the meta and work on additional changes. We're also looking at whether the Ocean Drake buff is too strong with one stack and might also make adjustments to that before 6.10, not sure yet. E base damage increased to 30-90/60-180 from 30-70/60-140"
"Oh, also just for clarity's sake it's worth mentioning there are a lot of other champions we're looking at as possible buff or nerf candidates in 6.10. Hotfixes involve some risk though, both on the technical side (less testing/implementation time) and the on the design side (reacting quickly off limited data and analysis). 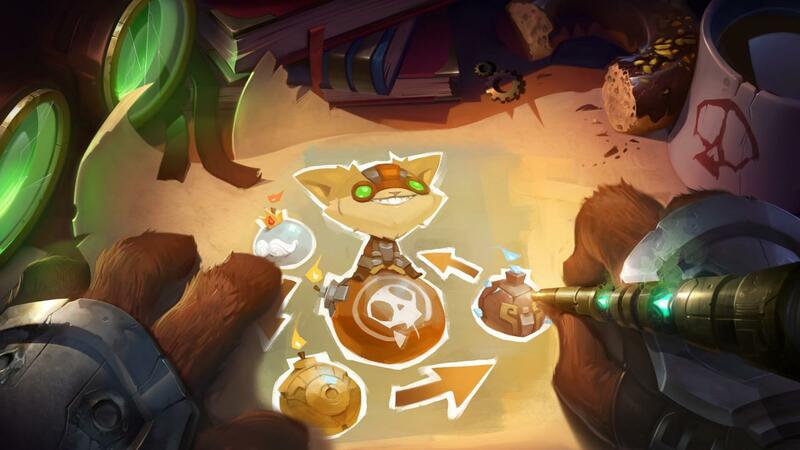 As a result we're only hotfixing the extremes, even if there are other champions, items etc that will almost certainly receive changes in the next patch." Hi Meddler, a lot of the concern for Malz seems to be regarding his new passive. Having the damage and CC-reduction stay for a second, after it's procced, on top of the 90% damage reduction and its consistent up-time has played a huge part in his overall game dominance. Why is it being avoided altogether when his skills already received an overall nerf across the board (Q and R specifically) with the rework? Similarly, Vlad's issue is largely felt as that the non-empowered Q is far too weak to be used to trade in any measure and that the window of Blood Rush is far too short for the weak buff that it gives (especially with regards to the almost imperceptible movement speed boost). Wouldn't it be a better move to action some change in those areas as opposed to the proposed buffs? Tweaks are good, but these seem to be targeting the wrong things entirely. We'll probably look at Malz's passive in 6.10. It's a type of effect that's pretty difficult to hotfix, hence its exclusion from the first round of changes. Not sure on Vlad yet in terms of other changes likely, will certainly discuss Q concerns with the team though." Still no mention of Zyra. It's like you're allergic to pollen. She looks pretty middle of the pack so far power wise. Again, this is also just a hotfix looking at the extreme outliers." We haven't seen a lot of him, but so far itemization changes seem to have been pretty positive for him. No immediate plans for him either way balance wise." What is Riot's thoughts on current rageblade, bloodrazor, and the champions who use them? een this season (get a look at which champs are dependent on it, which just like it etc). Bloodrazor's looking like it might be too weak, lot of champions its the best choice for are struggling. Might also be some champs who'd been nerfed due to how powerful they were in a game with Devourer we can put power back into now, not sure yet." I'm noticing most yi is dead or fights are over by the time the new rage blade fully gets stacked so the new phantom effect feels really really crappy. I imagine we'll need to buff Yi. First step's looking at Bloodrazor though for Yi and other AS liking junglers, determine whether that needs buffs as a starting point or not." Check out the Taliyah champion insights article for more on our next champions development and inspirations! "When was the last time we released a traditional mage? If you ask champion designer Daniel "ZenonTheStoic" Klein, he'll argue that every recent AP champ has had some odd, non-magey twist: Aurelion Sol feels untraditional because of his orbiting stars, Ekko is more of a Diver or Skirmisher, and Azir has Marksman-like qualities. Vel'Koz is totally an artillery mage, but many players took him bot lane to play Support. You've got to go all the way back to Lissandra to find a champ that really fits the "traditional mage" label, and she was released in April, 2013. We wanted a champ that felt like an old-school League of Legends mage. "Then it hit us," says ZenonTheStoic. "What about an earth mage from Shurima? The idea seemed like fertile ground." The Shuriman Desert isn't the easiest place to grow up. 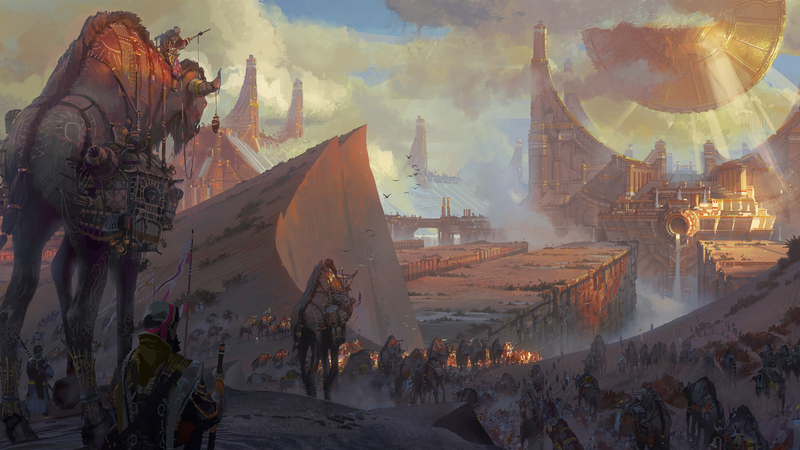 After Shurima fell, the people of the empire were scattered to the winds, eventually forming nomadic tribes. We imagined a young nomadic girl who was born with a strange and rare power. Magic is a rare thing in Valoran, so no one in the tribe could teach the girl how to control or manage her abilities. 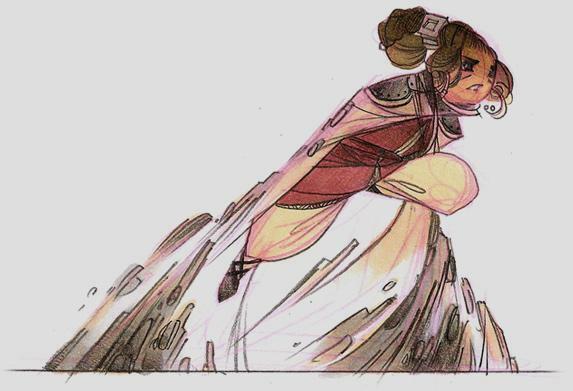 "In some early concepts, we considered making Taliyah a “spite” mage, a cruel sorceress who slings curses and hexes (and otherwise bad vibes) at opponents. Curses on you, your children, your couch, etc. Some Rioters are pretty amused by the idea of a permanently-salty champion, but we'll have to revisit it at a later date. " 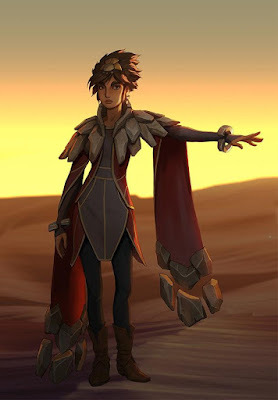 Taliyah's gift is her ability to manipulate rock, but she was raised by nomads—people unlikely to have much knowledge about making things out of stones. Rock structures are too heavy, too permanent. 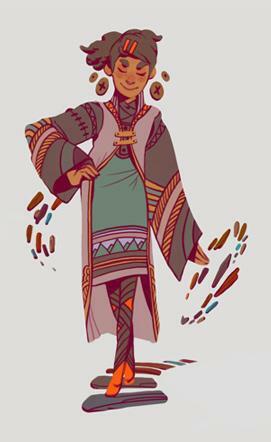 Taliyah grew up surrounded by shepherds, textile artists, and weavers, so in order to understand the power within her, she began to think of it as being like weaving cloth. Others see rock as a hard, immutable material, but to Taliyah, the earth teems with strands of sediment just waiting to be looped and sewn together into a new tapestry. The problem is, stoneweaving tends to make more of a mess than weaving garments. 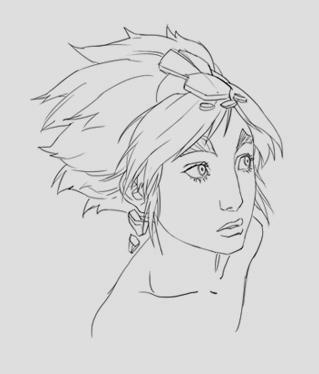 If Taliyah isn't careful with her powers, she could accidentally hurt the people around her. "Taliyah's need to understand and gain more control over her chaotic power is a major part of her story," says narrative writer Ariel "Thermal Kitten" Lawrence. 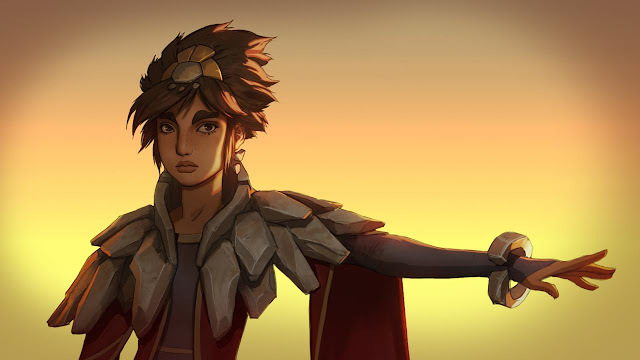 To achieve that control, Taliyah would ultimately have to leave her tribe, embarking on a journey to find a teacher that could help her harness her potential. One design goal for Taliyah was to capture the chaotic potential of her powers on the Rift, as if her powers are barely-contained. We achieved that by making her ult—her most powerful ability—feel crazy strong. "In fact, we specifically tuned it to feel almost too fast," says ZenonTheStoic. "It's like she's not totally in control." Because Taliyah strives for self-control, using her basic abilities shouldn't feel like you're wildly ripping apart the earth or smashing big boulders together. Taliyah wants her stoneweaving to feel elegant, structured, even rhythmic. When she hurls her Threaded Volley at you, the rocks fly in a measured thump, thump, thumpthumpthump pattern. Her other spells are similarly composed of lots of smaller rhythmic effects. When someone gets thrown through a field of Taliyah's Unraveled Earth, it doesn't blow up all at once. They pop one-by-one in the order they were touched, like a deadly piano glissando. "On a surface-level, Taliyah's insistence on weaving rock elegantly might lead you to think that she’s similar to Jhin; after all, they’re both destruction artists. The difference is in their intentions: Jhin uses the tools at his disposal to create art. For him, art is very much the purpose, the end-goal. Taliyah does what she does because she has to in order to protect her people. Artistry is just the only way she knows how to express it." The weaving metaphor also manifests in the way Taliyah uses her ultimate ability to construct a map-spanning wall. There are many ways to build a wall—she might have done it with piles of layered stone—but instead, she laces threads of rock together in a line that looks a lot like stitching in a piece of cloth. She's reshaping the Rift, not destroying it. In early playtests of Taliyah, we toyed with the idea of giving her some big, destructive abilities. One was an alternate ultimate that allowed her destroy any chunk of map terrain on the Rift. She could knock out entire base walls, chunks of the jungle, even the back side of the baron pit. There were obviously concerns from the art team about how to make this not look stupid in game, but the bigger problem was that this power didn’t seem like a Disrupter spell. It was primarily a way for her to open up paths for her allies, which made it feel a lot like a support ability. We killed the ability early in development—it just didn't fit our original vision for a classic, self-sufficient mage. So, she's a traditional earth mage. But how do you make a someone look like they've got rock powers? 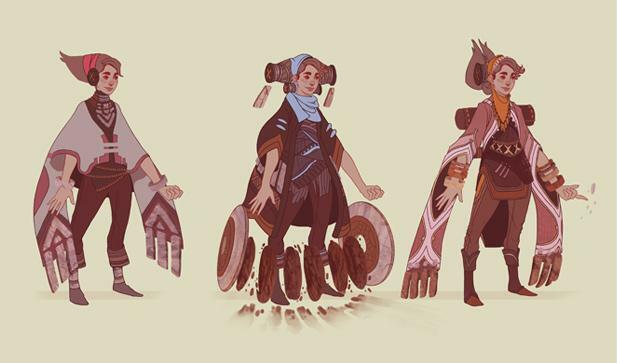 There are a few easy tropes designers can use to make characters look magical. “You can put a wizard hat on almost anything and it'll look like a sorcerer," says concept artist Hing "Hdot" Chui. "Put a wizard hat on a cat and boom, it becomes a wizard cat. You'd look at that cat and think 'he probably knows some spells.'" Unfortunately, it just wouldn't make sense to throw a wizard hat onto a nomadic desert girl. "One of the key aspects of a mage is the idea that their power is an innate ability. This could manifest as pulses of arcane energy emanating from their skin or burning electrical currents coursing through their veins. The trouble with these elemental effects is that they tend to be very glowy. Earth isn’t glowy at all." The artists working on Taliyah also had to keep the Stoneweaver's appearance consistent with her kit. Before we were sure what her spell lineup would look like in-game, we explored giving Taliyah a sort of stone “spool” accessory she would use to gather rocks before unleashing them on enemies. The issue here was that Taliyah would only realistically use such a weapon up for charge-up abilities, and she has none. In the end, the solution was to actively downplay her power. Many of League's champions are in their prime—they're kings, warriors, or gods. Taliyah is just a sixteen-year-old girl with a power she doesn't yet fully understand. She's rough around the edges, so we gave her messy, wind-swept hair, and the color palette of her costume is drawn from the redstone flats of Shurima. We also dug the idea that she used her powers to craft the rock mantle she wears around her shoulders. This reinforces the idea that, to her, rocks don’t weigh anything. Taliyah is rocking out on the PBE now. Get your worst earth mage puns ready—she'll hit the live servers soon." Check out our 6.10 PBE cycle coverage for more on Taliyah! With Taliyah sliding in as our next champion, a new Shurima page has been launched! This new page offers more information on Shurima as well as new champion introductions and stories! "Shurima was once a powerful empire that spanned the farthest reaches of the vast southern continent. After an era of expansion and prosperity, its last emperor was betrayed by his closest friend, and the empire fell to ruin. Its gleaming capital was all but destroyed in an earth-shaking cataclysm and the empire was left in ruins, its people scattered and its mighty cities devoured by the sand. Now Shurima is a barren wasteland, an unforgiving desert where only the strongest survive and its people cling to the few remaining oases and strips of fertile land around the coast. In the millennia since Shurima’s fall, tales of its glorious capital and gleaming sun disc became little more than myths and debased religions among the descendants of the empire’s few survivors. Most of Shurima’s inhabitants now dwell in small tribal outposts clustered near water or built upon the bones of ancient cities, venerating the glories of the past. Some hunt buried riches among the ruins of the fallen empire or earn a living as sellswords, warriors for hire who fight for rich paymasters before disappearing into the sands. Others try to forget the past, looking to the future and nations across the ocean as partners in trade. Yet the ancient myths of Shurima do not rest easy and are stirring once more. Whispering winds from the heart of the desert speak of mighty cities rising from the earth, of a golden warrior marching at the head of an army of sand. Rumors spread of ancient heroes reborn, of a war between gods that will shake the very foundations of the world. The city of Shurima has risen, and nothing will ever be the same." Along with this introduction to Shurima, we also have new champion introductions and stories for Azir and Xerath! Thousands of years ago, the Shuriman empire was a sprawling realm of vassal states conquered by powerful armies led by all but invincible warriors known as the Ascended. Ruled by an ambitious and power hungry emperor, Shurima was the greatest realm of its day; a fertile land blessed by the power of the sun that shone from a great golden disc floating atop the temple at the heart of its capital. The youngest and least-favored son of the emperor, Azir was never destined for greatness. With so many siblings ahead of him, he would never be emperor. Most likely he would take up a position in the priesthood or as governor of some backwater province. He was a slender, studious boy who spent more time perusing the texts collected in the Great Library of Nasus than training to fight under the stern tutelage of the Ascended hero, Renekton. Amid the twisting shelves of scrolls, books and tablets, Azir met a young slave boy who visited the library almost every day in search of texts desired by his master. Slaves in Shurima were forbidden to take names, but as the two boys became friends, Azir broke that law and called his new friend Xerath, which means ‘one who shares.’ He appointed Xerath - though he was careful never to endanger him by naming him publicly - as his personal slave and the two boys shared their love of history by learning all they could of Shurima’s past and its long legacy of Ascended heroes. While traveling with his father, brothers and Renekton on the yearly tour of the empire, the royal caravan stopped at a well-known oasis for the night. Azir and Xerath stole away in the middle of the night to draw the stars and add their own celestial maps to those they had studied in the Great Library. While they drew the patterns of constellations, the royal caravan was attacked by a cabal of assassins sent by the emperor’s enemies. One of the assassins found the two boys out in the desert and was poised to cut Azir’s throat when Xerath intervened, throwing himself upon the assassin’s back. In the ensuing melee, Azir freed his dagger and plunged it into his attacker’s throat. Azir took up the dead man’s sword and rushed back to the oasis, but by the time he returned, the assassins were already defeated. Renekton had protected the emperor and slain the attackers, but Azir’s brothers were all dead. Azir told his father of Xerath’s courage and asked him to reward the slave boy, but his words fell on deaf ears. In the emperor’s eyes, the boy was a slave and beneath his notice, but Azir swore that one day he and Xerath would be brothers. The emperor returned to his capital, with the fifteen year old Azir now his heir, and unleashed a merciless campaign of bloodshed against those he believed had sent the assassins. Shurima descended into years of paranoia and murder as the emperor took revenge on any he suspected of treason. Though he was now heir to the throne, Azir’s life yet hung by a thread. His father hated him - wishing he had died instead of his brothers - and the queen was still young enough to bear sons. Azir trained in combat, for the attack at the oasis had revealed how little he knew of the deadly arts. Renekton took up the task of teaching the growing prince, and under his aegis, Azir learned to wield sword and spear, to command warriors, and to read the ebb and flow of battle. The young heir elevated Xerath, his only trusted confidant, and made him his right hand man. To better counsel him, Azir tasked Xerath with seeking out knowledge wherever he could find it. Years passed, but the queen was never able to carry a child to term, every conceived infant perishing before it could be born. So long as the queen remained barren, Azir’s life was relatively safe. Some around the court believed a curse was at work and a few even whispered the young heir’s name in connection with this – though Azir claimed innocence and even executed some who dared voice such accusations openly. Eventually, the queen bore a healthy son, but on the night of his birth a terrible storm engulfed Shurima. The queen’s chambers were struck again and again by powerful bolts of lightning, and in the subsequent blaze, both the queen and her newborn son were killed. It was said the emperor went mad with grief and took his own life upon hearing the news, but tales soon spread of how he and his guards had been found lying in pieces on the palace floor, their bodies little more than charred skeletons. Azir was shocked by their deaths, but the empire needed a leader, and with Xerath at his side he took control of Shurima as its emperor. Over the next decade, he expanded Shurima’s borders and ruled with a harsh, but just hand. He instituted reforms to better the lives of slaves and privately developed a plan to overturn millennia of tradition and eventually free them all. He kept his plans secret, even from Xerath, and the issue of slavery would prove to be a continual bone of contention between them. The empire had been built on the back of slavery, and many of the great noble houses depended on enforced labor for their vast wealth and power. Such monolithic institutions could not be overturned overnight, and Azir’s plans would be undone were they to become common knowledge. Despite Azir’s desire to name Xerath his brother, he could not do so until all Shurima’s slaves were free. Through these years, Xerath protected Azir from his political rivals and guided the expansion of the empire. Azir married and fathered numerous children, some by wedlock, others by ill-advised liaisons with slaves and harem girls. Xerath stoked the emperor’s grand vision of an empire greater than any the world had ever known. But to stand as ruler over the entire world, Xerath convinced Azir that he would need to be all but invincible, a god amongst men – an Ascended being. 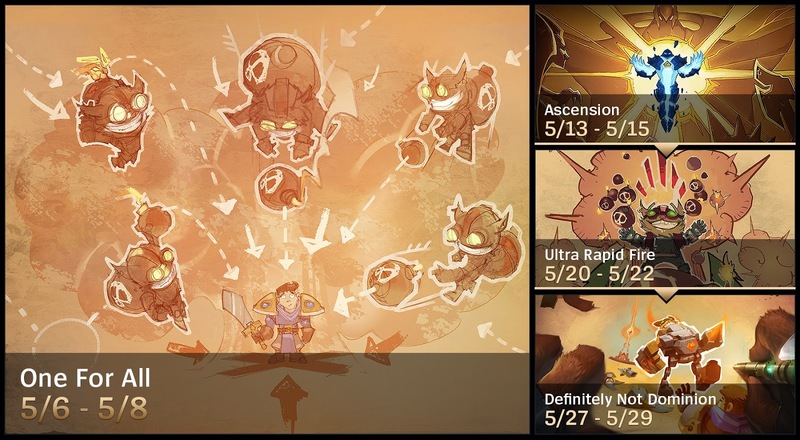 As the kingdom reached the zenith of its power, Azir announced he would undertake the Ascension ritual, that the time was right for him to take his place alongside Nasus and Renekton and their glorious forebears. Many questioned this decision; the Ascension ritual was highly dangerous and intended only for those near the end of their lives, those who had devoted their lives to Shurima and whose service was to be honored with Ascension. It was for the Sun Priests to decree who would be blessed with Ascension, not the hubris of an emperor to bestow it upon himself. Azir would not be dissuaded from his rash course of action, for his arrogance had grown along with his empire, and he ordered them to comply on pain of death. Xerath was stunned into speechlessness, but Azir was not yet done. He embraced Xerath and named him his eternal brother, as he had promised he would all those years ago. Azir turned as the priests began the ritual to bring down the awesome power of the sun. Azir was unaware that Xerath had studied more than just history and philosophy in his quest for knowledge. He had learned the dark arts of sorcery, all the while nursing a desire for freedom that had grown like a cancer into a burning hatred. At the height of the ritual, the former slave unleashed his powers and Azir was blasted from his place on the dias. Without the protection of the runic circle, Azir was consumed by the sun’s fire as Xerath took his place. The light filled Xerath with power, and he roared as his mortal body began to transform. But the magic of the ritual was not intended for Xerath, and such awesomely powerful celestial energies could not be diverted without dire consequence. The power of the Ascension ritual exploded outward, devastating Shurima and laying waste to the city. Its people burned to ash and its towering palaces fell to ruin as the desert sands rose up to swallow the city. The sun disc sank from the sky and what had taken centuries to build was brought to ruin in an instant by one man’s ambition and another’s misplaced hate. All that remained of Azir’s city were sunken ruins and echoes of its people’s screams on the night winds. Azir saw none of this. For him, all was nothingness. His last memories were of pain and fire; he knew nothing of what befell him atop the temple, nor what became of his empire. He remained lost in timeless oblivion until, thousands of years after Shurima’s doom, the blood of his last descendant spilled onto the temple ruins and resurrected him. 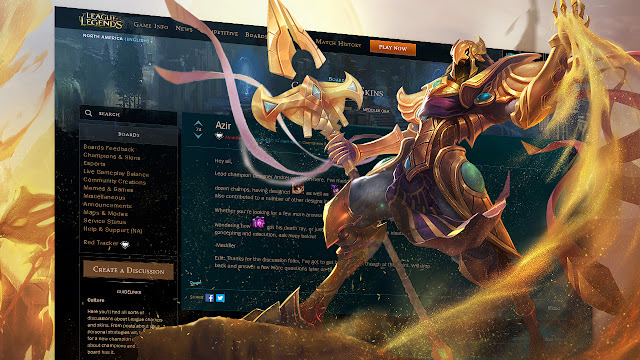 Azir was reborn, but was yet incomplete; his body little more than animate dust given form, held together by the last vestiges of his indomitable will. Gradually resuming his corporeal form, Azir stumbled through the ruins and came across the corpse of a woman with a treacherous knife wound in her back. He did not know her, but saw in her features the distant echo of his bloodline. All thoughts of empires and power were forgotten as he lifted this daughter of Shurima and bore her to what had once been the Oasis of the Dawn. The oasis was empty and dry, but with every step Azir took, clear water began filling the rocky basin. Azir immersed the woman’s body in the restorative waters of the oasis and as the blood washed away, only a faint scar remained where the blade had pierced her. And with that act of selflessness, Azir was lifted up in a column of fire as the magic of Shurima renewed him, remaking him as the Ascended being he was meant to become. The sun’s immortal radiance poured into him, crafting his magnificent, hawk-armored form and granting him the power to command the very sand itself. Azir lifted his arms and his ruined city shrugged off the dust of centuries spent beneath the desert to rise anew. The sun disc lifted into the sky once more, and healing waters flowed between temples heaving themselves back into the light at the emperor’s command. Azir climbed the steps of the newly-risen sun temple, weaving the desert winds to recreate the city’s last moments. Ghosts formed of sand relived his city’s last moments from long ago, and Azir watched in horror as Xerath’s treachery unfolded. He wept as he saw his family murdered, his empire fall and his power stolen. Only now, millennia too late, did he finally understand the depths of hatred harbored by his former friend and ally. With the power and prescience of an Ascended being, Azir sensed Xerath somewhere abroad in the world and summoned an army of sand warriors to march alongside their reborn emperor. As the sun blazed from the golden disc above him, Azir swore a mighty oath. I will reclaim my lands and take back what was mine! Azir walked the gold-paved Emperor’s Way. The immense statues of Shurima’s earliest rulers – his ancestors – watched his progress. The soft, shadowy light of predawn seeped through his city. The brightest stars still shone overhead, though they would soon be snuffed out by the rising sun. The night sky was not as Azir remembered it; the stars and the constellations were misaligned. Millennia had passed. With every step, Azir’s heavy staff of office struck a lonely note, echoing through the capital’s empty streets. When last he had walked this path, an honor guard of 10,000 elite warriors had marched in his wake, and the cheers of the crowd had shaken the city. It was to have been his moment of glory – yet it had been stolen from him. Now, it was a city of ghosts. What had become of his people? With an imperious gesture, Azir commanded the sands beside the roadway to rise, creating living statues. This was a vision of the past, the echoes of Shurima given form. The sand figures looked forward, heads tilted toward the immense Sun Disc hanging above the Dais of Ascension half a league ahead. It hung there still, declaring the glory and power of Azir’s empire, though no one remained to see it. The daughter of Shurima who awakened him, she who bore his lineage, was gone. He sensed her out in the desert. Blood bound them together. As Azir walked the Emperor’s Way, the sand-echoes of his people pointed up at the Sun Disc, their joyful expressions turning to horror. Mouths opened wide in silent screams. They turned to run, stumbling and falling. Azir watched this all in despairing silence, bearing witness to the last moments of his people. They were obliterated by a wave of unseen energy, reduced to dust and cast to the winds. What had gone wrong with his Ascension to unleash this catastrophe? Azir's focus narrowed. His march became more resolute. He reached the base of the Stairs of Ascension and began to climb, taking them five at a time. Only his most trusted soldiers, the priesthood, and those of the royal bloodline were allowed to step foot upon the Stairs. Sand versions of these most favored subjects lined his path, faces upturned, grimacing and wailing in silence before they too were swept away by the winds. He ran, taking the steps faster than any man could, talons digging into the stonework, carving furrows where they caught. Sand figures rose, and were then destroyed, to either side of him as he climbed. He reached the top. Here, he saw the final circle of onlookers: his closest aides, his advisers, the high priests. His family. Azir dropped to his knees. His family was before him, rendered in perfect, heartbreaking detail. His wife, heavy with child. His shy daughter, clutching his wife's hand. His son, standing tall, on the brink of becoming a man. In horror, Azir saw their expressions change. Though he knew what was to come, he could not look away. His daughter hid her face in the folds of his wife's dress; his son reached for his sword, shouting in defiance. His wife... her eyes widened, sorrow and despair writ within. The unseen event blasted them to nothingness. It was too much, but no tears welled in Azir’s eyes. His Ascended form rendered that simple act of grief forever lost to him. With a heavy heart, he pushed himself to his feet. The question remained as to how his bloodline survived, for it most assuredly had. He advanced, halting one step below the dais, and watched as it all played out before him, reenacted in the sand. He saw himself, in his mortal form, rise up into the air beneath the Sun Disc, arms wide and back arched. He remembered this moment. The power coursed through him, infusing his being, filling him with its divine strength. A newcomer formed in the sand. His trusted bondsman, his magus, Xerath. His friend uttered a silent word. Azir watched himself shatter like glass, exploding into motes of sand." The boy who would eventually be called Xerath was born a nameless slave in Shurima thousands of years ago. He was the son of captured scholars, with only the prospect of endless servitude ahead. His mother taught him letters and numbers, while his father told him tales from history in the hopes that such skills might allow him a better life. The boy vowed he would not end up bent-backed and whipped like every other slave. When the boy’s father was crippled during the excavations for the foundations of a monument to the Emperor’s favorite horse, he was left to die at the site of the accident. Fearing her son would suffer a similar fate, the boy’s mother begged an esteemed tomb architect to take him on as an apprentice. Though at first reluctant, the architect was impressed with the boy’s eye for detail and innate understanding of mathematics and language, and accepted. The boy never saw his mother again. He was a swift learner and his master dispatched him on errands to the Great Library of Nasus to retrieve specific texts and plans on an almost daily basis. On one trip, the boy met Azir, the least-favored son of the emperor. Azir was struggling to read a difficult passage in an ancient text, and, despite knowing that to talk to royalty was to invite death, the boy paused to help the young prince with its complex grammar. In that moment, a tentative friendship was established, and over the coming months that friendship only grew stronger. Though slaves were forbidden names, Azir gave one to the boy. He named him Xerath, which means ‘one who shares,’ though that name was only ever spoken between the two boys. Azir saw to it that Xerath was appointed to his household’s slaves, and made him his personal attendant. Their shared love of knowledge saw them devour texts from the library and become as close as brothers. Xerath was Azir’s constant companion, learning all he could from this new proximity to culture, power and knowledge, finally daring to dream that Azir might one day free him. On the annual tour of the emperor’s dominion, assassins struck the royal caravan as it spent the night at a well-known oasis. Xerath saved Azir from an assassin’s blade, but Azir’s brothers were all slain, leaving the young prince a heartbeat away from Shurima’s throne. As a slave, Xerath could expect no reward for his deed, but Azir promised that one day they would be as brothers. In the wake of the assassination attempt, Shurima endured years of horror and fear of the emperor’s retribution. Xerath knew enough of history and the workings of the Shuriman court to understand that Azir’s life hung by the slenderest of threads. That he was heir to the throne meant nothing, for the emperor hated Azir for living while his more beloved sons had died. Of more immediate danger, the emperor’s wife was still young enough to bear other children, and thus far she had borne many healthy sons. The odds were good that she would produce another male heir for her husband, and as soon as she did, Azir’s life was forfeit. Though Azir was a scholar at heart, Xerath persuaded him that to survive, he must also learn to fight. This Azir did, and in return the young heir elevated Xerath, insisting he continue his education. Both youths excelled, and Xerath proved to be an exceptionally gifted pupil, one who took to the pursuit of knowledge with gusto. Xerath became Azir’s confidant and right hand man, a position unheard of for a mere slave. This position gave him great - and some said, undue - influence over the young prince, who came to rely on Xerath’s judgement more each day. Xerath bent his every effort into seeking out knowledge wherever he could find it, no matter the cost, no matter its source. He unlocked long-sealed libraries, delved into forgotten vaults and consulted with mystics entombed deep beneath the sands; all to further his knowledge and ambition, both of which grew with unchecked rapidity. Whenever the whispers around court that spoke of his delving into unsavory places grew too loud to ignore, he would find cunning means to silence them. That Azir never mentioned these whispers was, to Xerath, tacit approval of how he was keeping his emperor safe. Years passed, and Xerath took ever darker steps to keep the emperor’s wife from carrying a child to term, using his nascent magical abilities to corrupt every infant in the womb. Without rivals to the throne, Azir would be safe. When rumors of a curse arose, Xerath ensured they were never spoken again, and oft-times those who had voiced such suspicions vanished without trace. By now, Xerath’s desire to escape his roots as a slave had become a burning ambition to achieve power of his own, though he justified every murderous act by telling himself he was doing it to keep his friend alive. Despite Xerath’s best efforts to thwart the queen’s midwives, a new prince of Shurima was brought into the world, but on the night of his birth, Xerath used his growing magical powers to summon the elemental spirits of the deep desert and craft a terrible storm. Xerath brought bolt after bolt of lightning down upon the queen’s chambers, reducing it to burning rubble and killing the queen and her newborn son. The emperor rushed to his queen’s chambers, only to be confronted by Xerath, his hands ablaze with arcane power. The emperor’s guards attacked, but Xerath burned them and the emperor to cindered skeletons. Xerath ensured that the mages of a conquered territory were blamed for these deaths, and Azir’s first act upon taking the throne was to lead a brutal campaign of retribution against its people. Azir was crowned emperor of Shurima with Xerath at his side, the boy who had once been a nameless slave. Xerath had long dreamed of this moment, and expected Azir to end slavery in Shurima before finally naming him brother. Azir did none of these things, continuing to expand his empire’s borders and deflecting Xerath’s overtures regarding the end of slavery. To Xerath, this was further proof of Shurima’s moral bankruptcy, and he raged at Azir’s breaking of his promise. Azir’s face was thunderous as he reminded Xerath that he was a slave and should remember his place. Something once noble died in Xerath that day, but he bowed in supplication, outwardly accepting Azir’s decision. As Azir continued his campaigns of conquest, Xerath remained at his side, but his every action was carefully designed to increase his influence over a realm he now planned to take for himself. To steal an empire was no small thing, and Xerath knew he needed more power. The Day of Ascension arrived and Azir marched toward the Dias of Ascension with Xerath at his side. Nasus and Renekton were absent from the day’s events, for Xerath had arranged a distraction for them by weakening the seal on a magical sarcophagus containing a beast of living fire. When that creature finally broke its bindings, Renekton and Nasus were the only warriors capable of defeating it. Thus Xerath had stripped Azir of the only two beings who might save him from what was to come. Azir stood beneath the sun disc and in the final moment before the priests began the ritual, events took a turn Xerath had not anticipated. The emperor turned to Xerath and told him that he was now a free man. He and all Shurima’s slaves were now released from their bonds of servitude. He embraced Xerath before naming him his eternal brother. Xerath was stunned. He had been given everything he desired, but the success of his plans hinged upon Azir’s death and nothing was going to dissuade him from acting. Too many pieces were in motion and Xerath had already sacrificed too much to turn back now – no matter how much that part of him wanted to. The emperor’s words pierced the bitterness enclosing Xerath’s heart, but came decades too late. Unaware of his peril, Azir turned as the priests began the ritual and brought down the awesome power of the sun. With a roar of anger and grief combined, Xerath blasted Azir from his place on the dias, watching through tears as his former friend burned to ash. Xerath took Azir’s place and the light of the sun filled him, reshaping his flesh into that of an Ascended being. But the power of the ritual was not his to take, and the consequences of his betrayal of Azir were devastating. The unbound power of the sun all but destroyed Shurima, sundering its temples and bringing ruination upon the city. Azir’s people were consumed in a terrifying conflagration as the desert rose up to claim the city. The sun disc fell and an empire built by generations of emperors was undone in a single day. Even as the city burned, Xerath held the sun priests in the grip of his magic, preventing them from ending the ritual. The energies filling him were immense, alloying with his dark sorcery to create a being of incredible power. As he drew ever more of the sun’s power into his body, his mortal flesh was consumed and remade as a glowing vortex of arcane power. With Xerath’s treachery revealed, Renekton and Nasus rushed to the epicenter of the magical storm destroying the city. They bore with them the magical sarcophagus that had imprisoned the spirit of eternal fire. The Ascended brothers fought their way to the Dias of Ascension just as Xerath fell from the deadly radiance engulfing the city. Before the newly-Ascended Magus could react, they hurled his crackling body within the sarcophagus and sealed it once more with blessed chains and powerful sigils of binding. But it was not enough. Xerath’s power had been great as a mortal, and that power - combined with the gift of Ascension - made him all but invincible. He shattered the sarcophagus, though its shards and chains remained bound to him. Renekton and Nasus hurled themselves at Xerath, but such was his newfound strength that he fought them both to a standstill. The battle raged throughout the collapsing city, destroying what had not already sunk beneath the sands. The brothers were able to drag Xerath toward the Tomb of Emperors, the greatest mausoleum of Shurima, a vault whose locks and wards were impossible to break and which answered only to the blood of emperors. Renekton wrestled Xerath within and called upon Nasus to seal the vault behind them. Nasus did so with heavy heart, knowing it was the only way to prevent Xerath’s escape. Renekton and Xerath fell into eternal darkness, and there they remained, locked in an endless battle as the once-great civilization of Shurima collapsed. Uncounted centuries passed and, in time, even Renekton’s mighty strength waned, leaving him vulnerable to Xerath’s influence. With poisoned lies and illusions, Xerath twisted Renekton’s mind, filling him with misplaced bitterness toward Nasus, the faithless brother who had - in Xerath’s fictive narrative - abandoned him so long ago. When the Tomb of Emperors was finally discovered beneath the desert and broken open by Sivir and Cassiopeia, both Xerath and Renekton were freed in an explosion of sand and rubble. Sensing his brother still lived, Renekton charged from the ruins, his distorted mind leaving him little better than a savage beast. After an age lost to legend, Shurima was reborn, and as it rose majestically from the desert, Xerath felt another soul return to life beneath the sand, one he had thought long dead. Azir was also newly resurrected as one of the Ascended, and Xerath knew there could be no peace for either of them while the other yet lived. Xerath sought the heart of the desert to regain his strength and understand how the world had changed in the millennia since his imprisonment. His stolen power grew with every passing moment, and he beheld a world ripe for conquest, a world brimming with mortals ready to worship at the feet of a new and terrible god. Yet for all his newfound power, however far he has come from that nameless slave boy, a part of Xerath knows he is still in chains. The singular moment that had cost him so much, that had taken a lifetime of planning. A corrupt empire and its strutting princeling would be struck down under the blankly idiotic sun symbol they both so trusted. The key to immortality, jealously guarded and miserly offered, would be his alone, stolen in front of the entire world. A singular moment of perfect vengeance that would finally free the slave known as Xerath. Though his master's helm revealed no human expression, and knowing that the lovingly etched metal could not respond in kind, Xerath smiled up at the soulless hawk's face just the same, his joy genuine. A life spent in servitude, first for a mad emperor and now a vain one, endless manipulations for and against the throne, a near-damning quest for barely remembered knowledge that almost consumed him – all of it led to this grotesque masquerade of Ascension. The very word when spoken aloud was an assault: We will Ascend, while you are chained to the broken stone as the sands of time swallow you all. No. Not anymore, and never again. The chosen golden lords will not be taken into the sun’s embrace and made gods. A slave will do this; a simple slave, a boy who once had the misfortune to save a noble child from the sands. A promise unkept to this day. The words of a grateful child, innocently oblivious to the impact they would have. How could Azir upend thousands of years of rule? How could he fight tradition, his father, his destiny? In the end, the young emperor would lose it all by not honoring his word. And so, Xerath was elevated and educated, eventually becoming Azir's trusted right hand – but never a free man. The soured promise ate into what he was, and what he could have been. Denied a small, simple thing, the right to live his life, Xerath decided to take everything, all of the things denied to him, all of the things he deserved: the empire, Ascension, and the absolute purest form of freedom possible. With each step taken toward the offensively grandiose Dais of Ascension, positioned respectfully behind his emperor and flanked by the inept sentinels who supposedly protected Shurima, Xerath felt an unknown lightness he was genuinely shocked by. Was this joy? Does vengeance bring joy? The impact was almost physical. At that very moment, the overwrought suit of golden armor that was his tormentor abruptly halted. And turned. And walked toward Xerath. Could he know? How could he possibly know? This spoiled, self-obsessed boy? This righteous, falsely benevolent emperor whose hands were just as bloody as Xerath's own? Even if he did, there was no staying the killing blow that was already in motion. The Emperor of Shurima, the Golden Sun, Beloved of Mother Desert, soon to be Ascended, took off his helmet, revealed his proud brow and smiling eyes, and turned to his oldest and most trusted friend. He spoke about the love of brothers, the love of friends, of hard fights won and others lost, of family, of future, and finally... of freedom. At these words, the guards flanked Xerath, moving in, weapons drawn. So the princeling did know. Had Xerath's plans had been undone? But the fools in armor were saluting. There was no menace to them, they were honoring him. They were congratulating him. His hated master had just freed him – he had freed them all. No Shuriman would ever wear chains again. Azir's last act as a human was to unfetter his people. The foundation-shuddering roar of the assembled masses drowned out any response Xerath could have had. Azir donned his helmet and strode out onto the Dais, his attendants preparing him for the godhood that would never come. Xerath stood in the shadow of the monolithic Sun Disc, knowing that an empire-destroying doom was but seconds away. Too late, friend. Too late, brother. Far too late for us all." Keep an eye out for additional Shurima champion stories, the site has room for several more! The updated rotating game mode schedule is out! Following this week's return to One for All, we have Ascension the next weekend then another round of U.R.F with the newly revealed Definitely Not Dominion making it's debut in late May! For more on Definitely Not Dominion, check out this announcement! EDIT: Here's the NA post with a refresher on ONE FOR ALL! One for All is now available and lasts through the evening on Sunday (we’ll shut it down very early Monday morning--usually between 1:00 AM and 3:00 AM). Up next is Ascension’s first return next weekend, followed by Ultra Rapid Fire and the debut of Definitely Not Dominion. If you need to catch up on the rules for any game mode, check back at leagueoflegends.com each Friday, and we’ll give you the lowdown in a quick post like this one. We’ll be trying out different things with the rotating game mode queue over the next few months, such as potentially turning it on longer depending on how popular it is, changing the mode cadence or what modes are available. We’re looking for your feedback as we go, so let us know. GLHF!" Gypsylord has updated his experimental Sona changes PBE thread with more tweaks! "With the next PBE patch the next series of iterations for Sona will be going up on the PBE. Disclaimer again: These are highly experimental. I'm seeking feedback and whether or not they ship is still up in the air. ---Auras feel important to Sona and there is a minimum size they must be before they feel "unusable"
---The new positioning afforded by a faster E is likely good for the kit overall. It's feeling fun and creating new plays for Sona that were previously inaccessible (like self defense, getting better aura tags, and making clutch ult plays without the use of flash). With that in mind I'm putting in a new iteration that condenses the changelist a bit. I'm buffing aura size back up and lowering Q early CD some, but also reducing top end E MS and getting rid of the W changes. My hope is that overall we'll get the benefits of the E buffs while no longer crossing the lines that get us to "midget auras" and "I can't lane." Wondering if at this tuning aura tagging actually starts to feel better after you get E as it will allow you to get to the targets you want to tag in a fight much easier. For those of you who were feeling down on the previous set of changes, please go try her out again when the update hits and let me know if I've resolved any of your concerns. > Points no longer increase Sona's Self MS boost on E"
"There are no plans to add them back in the current client, but we're tinkering with some cool stuff for the updated client. =)"
Do we get a choice? I, for one, don't want them back. Toggle options are ALWAYS better. The plan is to give you guys the option to mute Champ VO in the client =)"
By champion VO do you mean just your champion or all of them (as the feature returns)? If it just mutes your champion quote, that's pointless. Current thought is a mute / volume slider for all Champion VO"
"Back in 2014, the Riot Direct team launched itself on a journey to create a better League of Legends experience through network improvements. tl;dr: We decided to build our own internet. Riot Wizardofthelake has already talked in-depth about how Riot is approaching the problem of an internet that wasn’t built with video games in mind, but the Direct team also cooked up a short video that covers the broad strokes in case you’re short on time. While we don't have a round up ready just yet, several members of the narrative team jumped on the boards to answer player questions on the Shurima stories mentioned above! We've nabbed a few members of the Narrative and Foundations teams for some Q&A about the just-released Shurima story page! Whether you're interested in Shurima, its champions, or the latest thinking behind League's background, ask away and they'll be happy to answer! We'll have a round up of this Q&A in an upcoming red post collection, browse the thread in the mean time!